The $75 app energyXT2 starts out sounding similar to other music apps — but after a long list of twists, seems anything but. It’s a DAW. It’s a sequencer. It’s an audio multitracker. (Okay, not so interesting so far …) It’s a synth. It’s a sampler. It’s a drum machine. It’s a looper. It runs as a host. It runs in a plug-in. 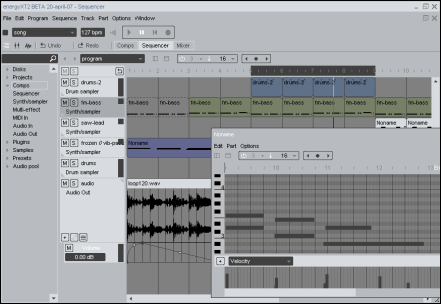 Now it runs on Linux — making it perhaps the first significant music creation app to do a commercial, out-of-box release for the penguin. It’s got a modular engine underneath. And now there’s a big release coming soon. Before we get a chance to spend some time on it, here’s a preview of why it’s on the radar screen. energyXT2 is in beta now, the first big release in three years. In features and interface design, it appears to borrow more than a little from Ableton Live — but, then again, since energyXT2 runs as a plug-in, I’m sure someone is working out some wild performance setup where they use both simultaneously. It also takes some design cues, as near as I can tell, from Cakewalk. But the combination of features here in unique, it’s affordable enough to be an impulse buy, and we’ve heard from several users that you’re very excited about it. Is there room for yet another music production tool? EnergyXT already has a loyal following, and with music creation as personal and dynamic a process as it is, I think the answer can always be yes. Out-of-box Linux support — yep, that’s right, from a commercial application. Even as a secondary piece of software, this has interest. I’m especially intrigued by the “zero load time” claim. I could see syncing into an older PC — even with Linux replacing XP — to turn an unused laptop into a drum machine — or using this in conjunction with another app. And with increased interest in streamlined workflows, for many others this could be a primary solution. 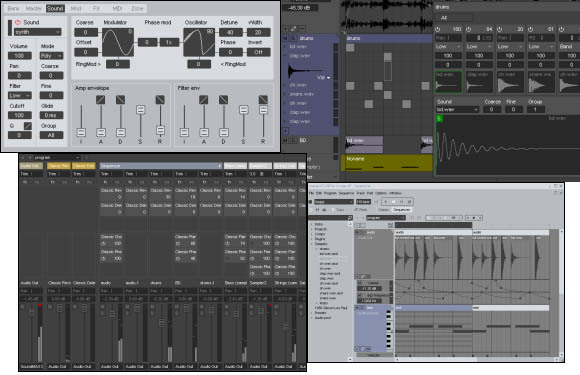 The real competition for people wanting a deep sequencer, though, may be trackers like Renoise. An introductory price drops the total sticker to US$49. The interesting question to me isn’t will Linux users spend the small amount of cash, but whether the Linux audio community will embrace a closed-source project. Linux or Windows, we’ll have to do a full review once the full version comes out.